Odaiba is a shopping and leisure area built atop artificial islands in Tokyo Bay. It has great wheelchair accessibility including many accessible toilets and a wheelchair-friendly monorail. Getting from area to area can be a bit difficult if you tire easily, but it is definitely a place to unwind and have some fun. Odaiba was initially built for defensive purposes as artificial islands with cannon batteries in the 1850s to protect Edo from attack by sea. The small islands were joined into larger islands by massive landfills, and Tokyo began a development project to turn the islands into a futuristic residential and business district during the 1980s. However, development slowed dramatically after the burst of the bubble economy in the early 1990s, and Odaiba became nearly vacant. The area started coming back to life in the late 1990s as a tourist and leisure zone, with several large hotels and shopping malls – from there Odaiba developed into one of Tokyo’s most popular tourist attractions and date spots with a wide selection of shopping, dining and leisure options. 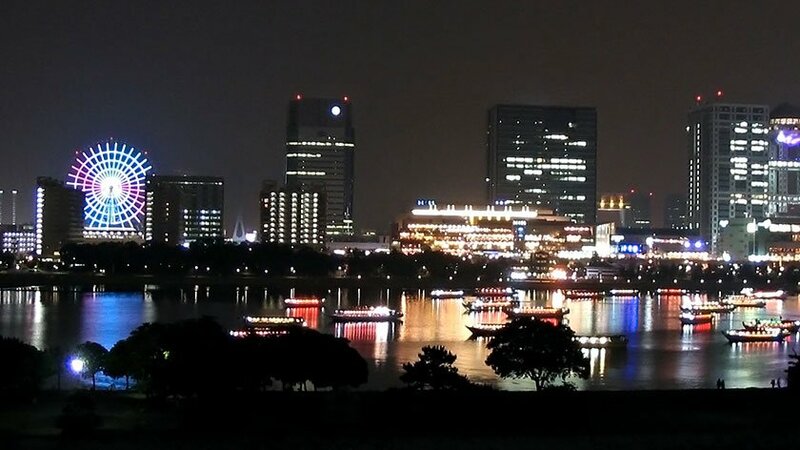 Odaiba, along with Minato Mirai 21 in Yokohama, are two of the only places in the Greater Tokyo Metropolitan area where the seashore is accessible with plenty of green space. Odaiba will be one of the venue locations in the upcoming 2020 Summer Olympics. The events to be held there include beach volleyball at Shiokaze Park, triathlon and marathon swimming at Odaiba Marine Park, and gymnastics at a new gymnastics venue. The islands of Odaiba are serviced by the Yurikamome monorail. All the stations have been built with accessibility in mind and have elevators and accessible washrooms. A carriage in the middle of the train is designated as accessible and has a space for wheelchairs as well as a sloped entrance to the train (though there is a gap of a few centimeters). Due to these adaptations, a slope is not needed. It should also be noted that many of the stations are not staffed at certain times of day. Should you need assistance, intercoms are available near the ticket gate and at the ticket machines. 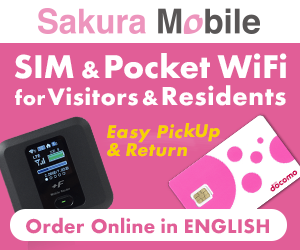 Welfare Discounts are available, but only for those with disability certificates from Japan. Please check out the Yurikamome website for more information: http://www.yurikamome.tokyo/. 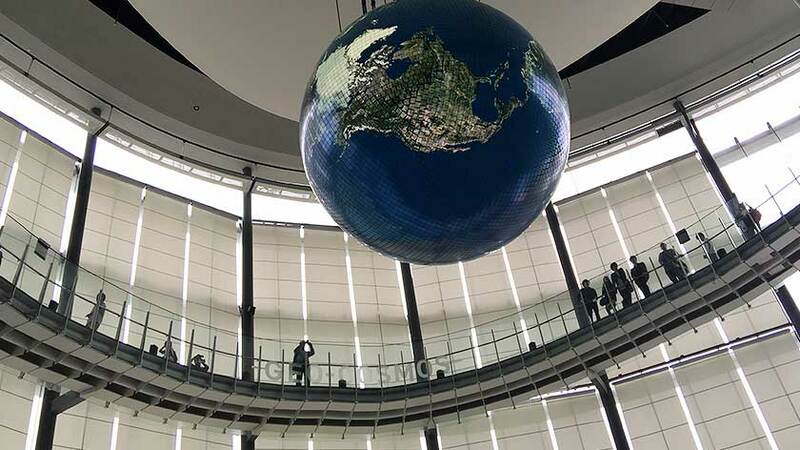 With the Yurikamome, getting to Odaiba is very easy, but once there it can be a toss-up as to whether it is better to ride it to the next spot on your itinerary, or just walk/roll because of the way buildings are placed. Expect to need to travel a fair distance on foot. 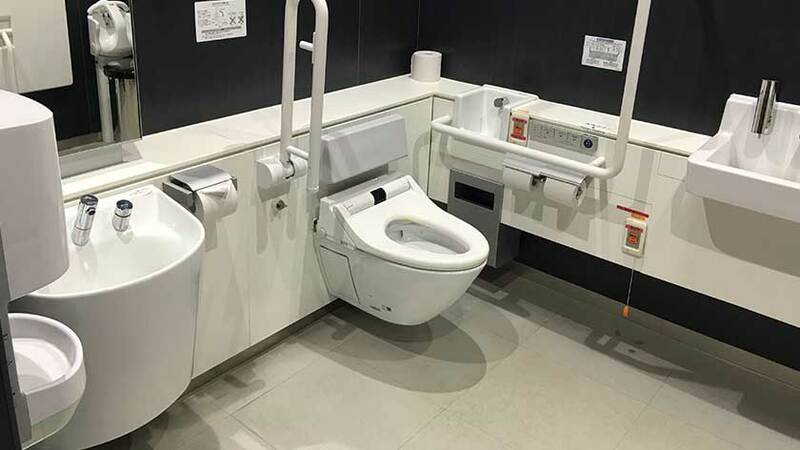 The accessible toilets located at various locations across Odaiba tend to be spacious but can vary place to place. One of the main draws for Odaiba is the shopping. It is home to a number of shopping malls – housing both shops and restaurants. They generally are open from 11:00-21:00, with restaurants generally being open a bit longer. All have elevators and accessible washrooms on multiple floors. It should be noted that, while the vast majority of shops are fully accessible, a number of restaurants are not wheelchair friendly as they may incorporate steps into their design. 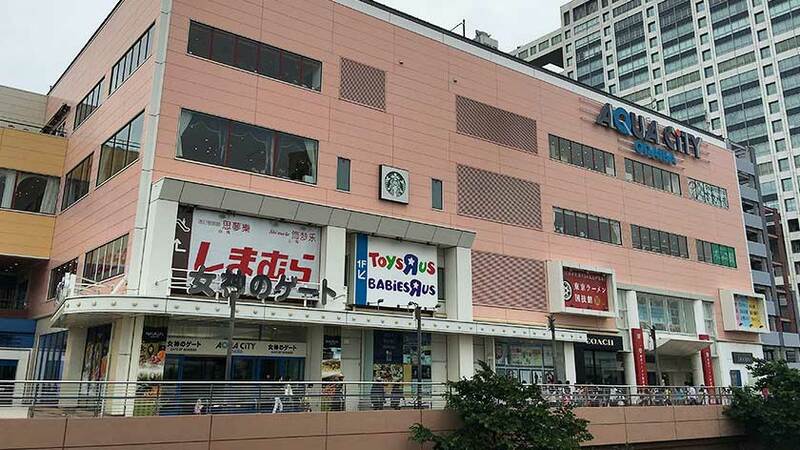 There are a number of attractions in the shopping malls as well, including Tokyo Joypolis, a Legoland Discovery Center, a Madam Tussauds wax museum and a trick art museum. There is also a robot from the Gundam anime series built to scale, and a mini version of the Statue of Liberty. For fans of anime and Japanese dramas, Fuji TV has their main studio on the island. 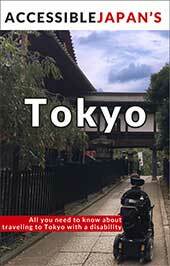 You can visit exhibits on some popular television shows and go shopping for Fuji TV goods. Elevators on the 1st floor take you to Wonder Street on the 5th floor and the goods store on the 7th floor. From there you can take another elevator up to the spherical Hachitama observation deck on the 25th floor. Accessible washrooms are available on the 1st, 5th, and 25th floors. The beach and park area is accessible as well. This science museum offers regular exhibits and special events throughout the year. It is very interactive and multilingual, with a strong emphasis on environmental issues, robotics, and IT. Every floor has an accessible washroom and the entire area is easy to navigate in a wheelchair. Palette Town is an area of Odaiba that has many entertainment and leisure activities at several locations. Venus Fort looks like a regular boxy building on the outside, but the inside is modeled after an 18th century town from southern Europe. There are fountains, stage performances, and the ceiling (painted to look like the sky) cycles between night and day over the course of an hour. While there is an elevator and the shops are mostly accessible, there is only one accessible washroom. Toyota Mega Web features everything from historic cars to futuristic vehicles. 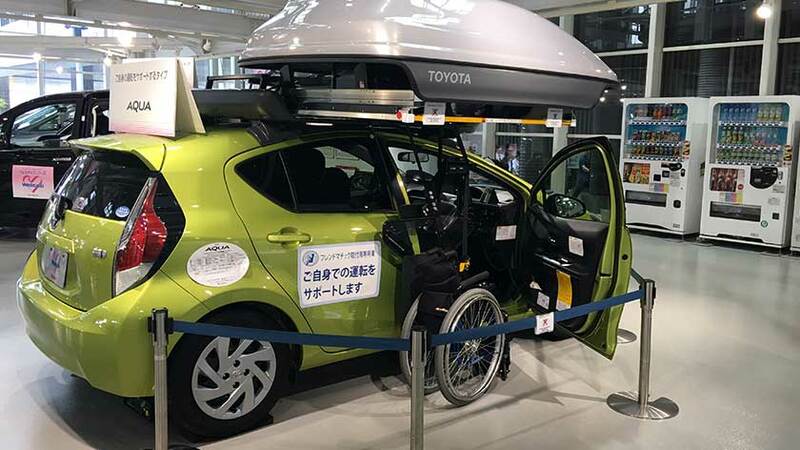 It also features an area dedicated to wheelchair accessible vehicles sold by Toyota, so it is a great place to try out an adapted wheelchair van! The nearby Ferris Wheel is wheelchair accessible. Leisure Land has elevators, but not all exhibits are wheelchair friendly. Tokyo Big Sight is a large convention center with a unique design. It is accessible and has wheelchair washrooms and elevators available. 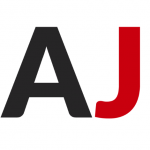 The center is host to events like the Tokyo Motor Show, the Tokyo International Anime Fair, and even a convention for mobility and medical devices. The Panasonic Center is a showroom and hands-on science exhibit. While a bit far from other locations, it has some interesting products on display and is fully accessible with elevators and accessible toilets on every floor. 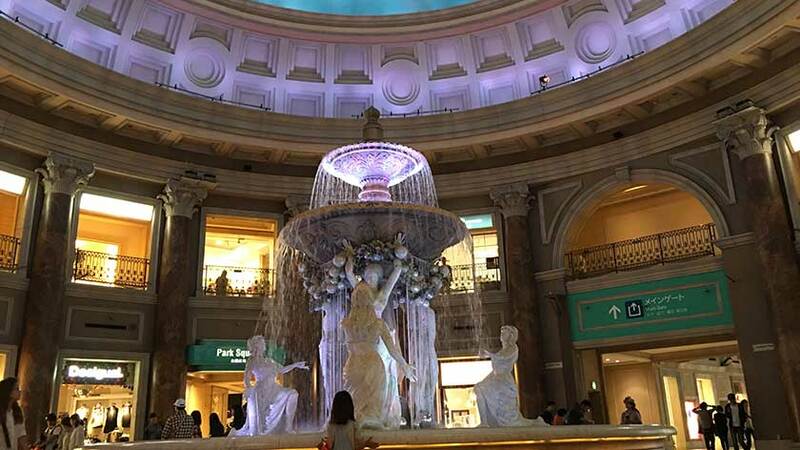 Odaiba is definitely something to add to your itinerary if you are into shopping and fun. There is a bit of something for everyone, and it has great accessibility. There are many accessible toilets and all buildings have elevators. The only drawback is getting between the areas – it can be a bit of a long walk, and not all of the stations are convenient.